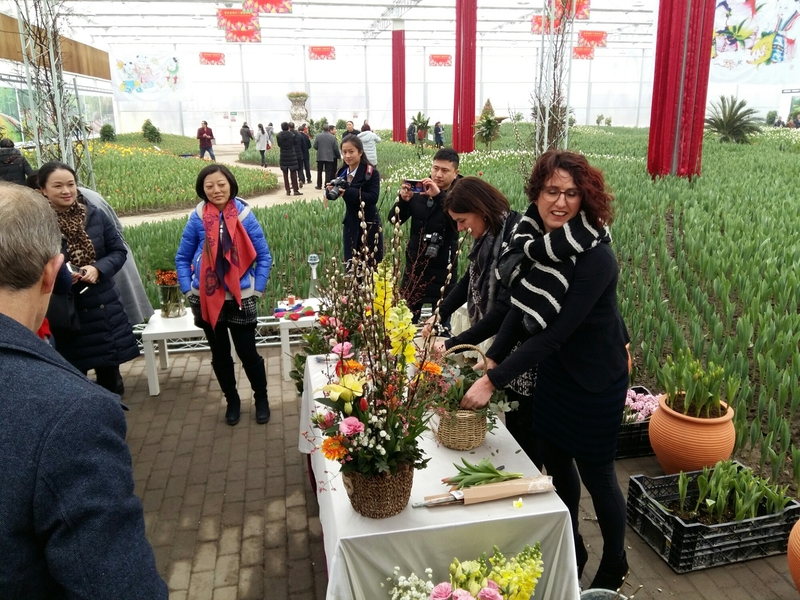 The Dutch business support office invited me to the opening of the’Dutch flower garden’ in Pengzhou, just north of chengdu. 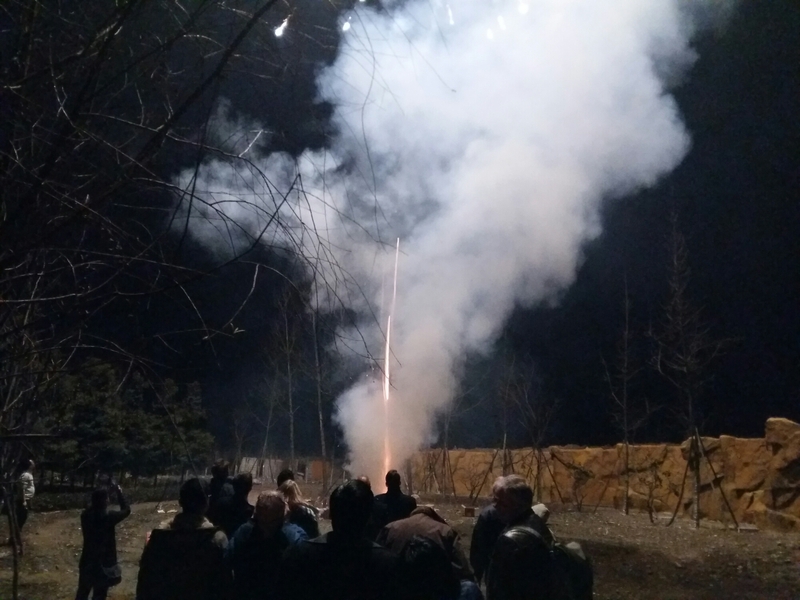 Since I had nothing better to do during Chinese new years, most people go to family, it seemed a nicely timed activity. 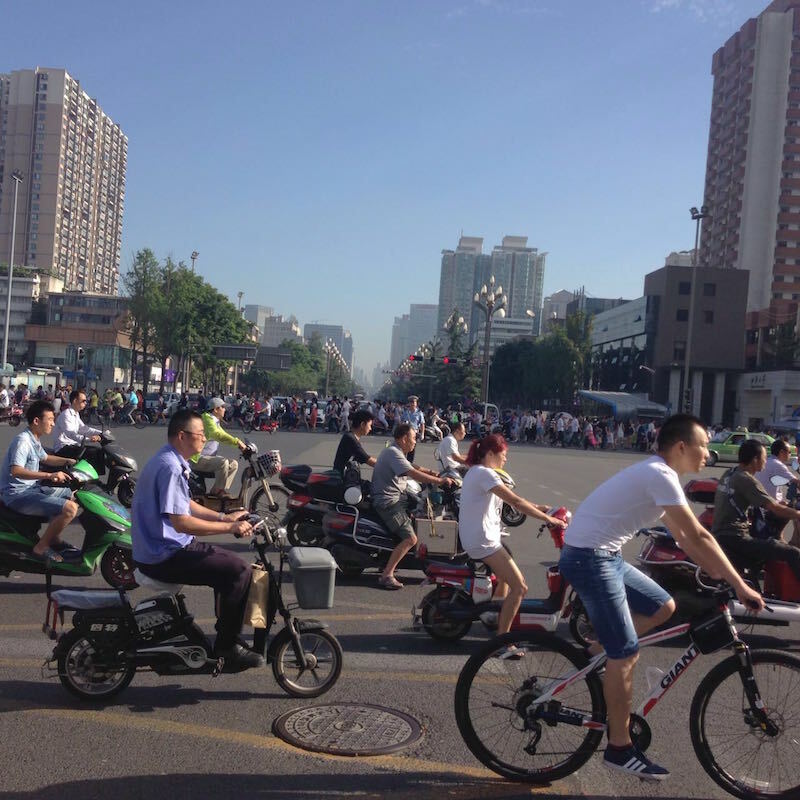 “Penhzhou is famous for pollution”, a college said the day before I left. Turns out there is a huge petrochemical factory just one hour drive out of chengdu. But the garden was a two hour drive, and in a rural area so I want too worried about the air. The next day marked the big event. There were so many people, mostly locals who came out this new year’s day to see the opening ceremony. Since I did not attribute a thing to the park, I felt strange to take the’VIP’ seat in front of the stage, together with the group from the night before. 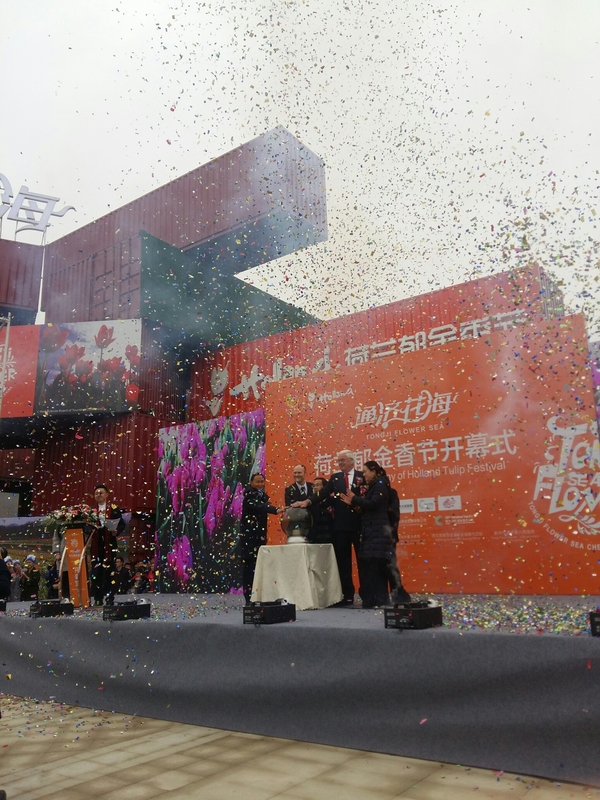 After some shows, there was an opening ceremony and speeches from the main people involved in the project. We then got the tour of the park, including an already lush greenhouse, but I decided to break away from the group and explore the park for myself. It is a huge park, which is amazing because it only took two months to build! I’m definitively visiting the park again in spring once the flowers are out! 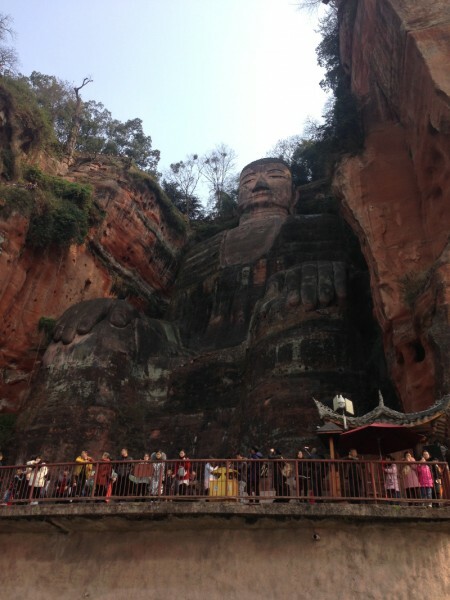 We visited the giant Buddha in Leshan, just a two hour busride away from the Xinnanmen busterminal in Chengdu. The giant Buddha is the largest stone Buddha in the world. Construction started 1300 years ago, in an attempt to calm the junction of two rivers at which the Buddha is positioned. Most tourists decide to ascent the stairs but we took the boat and enjoyed the view for a bit. 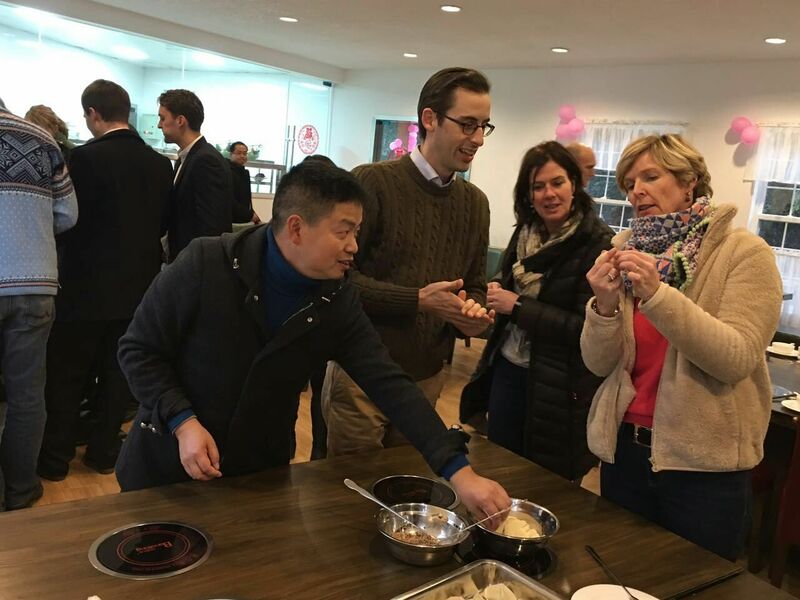 The Dr. Panda team keeps growing so it was time to do some activities together. Last Saturday we gathered at the Baihuatan park. We started with a nice barbecue. It was a ‘xiaokao’ barbeque where you could get all the food you wanted from a nearby freezer, and could prepare it yourself. We ate way more then we planned to but it was fun. Once established, the team could pick what they wanted to do themselves. Some went cycling, others turned to the Mahjong tables, to laser-gaming. I started with cycling but the busy roads felt dangerous. (some cycled for the first time) so we turned inwards at an unintended horsetrail. It was fun getting offroad and exploring the neighborhood. After which we had some beers in the sun whilst playing a game. After an hour or so, we went for lasergaming. After a packed afternoon, we still had one more activity and that was an amazing buffet at the Sofitel. I liked the grill but some just jumped when the saw the deserts. A great day! 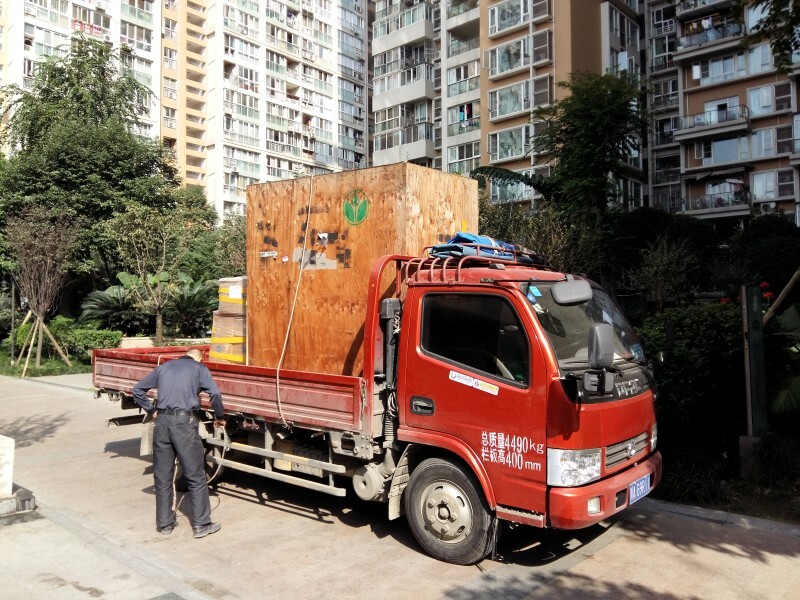 When we moved to Chengdu during the early summer on this year, we carried only the most critical with us and shipped the rest of our belongings with a moving company. However our stuff took way longer then expected to arrive at our house in China. Originally, I estimated that the shipment would take at most 50 days but it turned out to be exactly 125 days to arrive. Unpacking the stuff yesterday felt almost like we send ourselves a time capsule, interestingly I forgot about a lot of our possessions over time. So what went wrong? 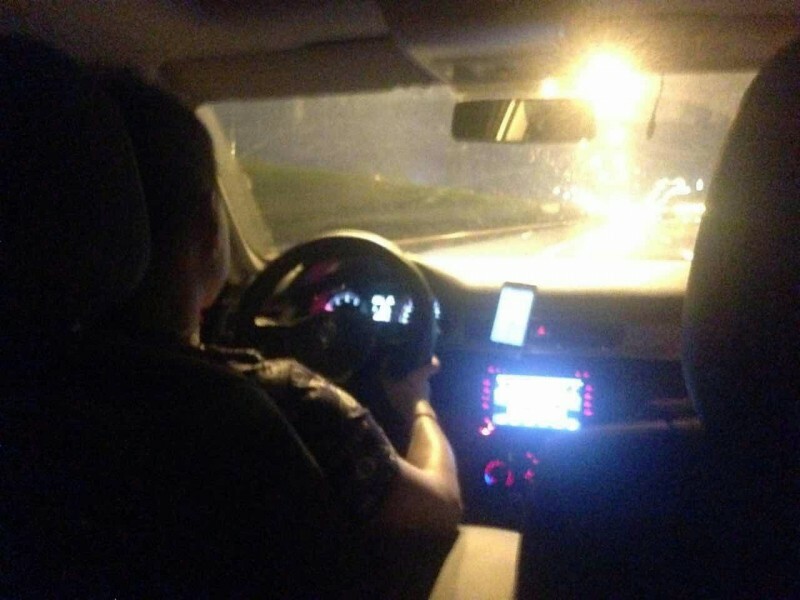 Basically the paperwork were not in order and the Shanghai agent messed up on a few parts. To be clear, our moving company ‘Passies’ orchestrated things to their best intent and I don’t think they are to blame at all. They picked up the shipment and packed it in a wooden crate as promised. Shipment to Shanghai went smoothly, then we experienced a problem. My China residence permit was one day short to fall in the category to be allowed to import household goods. Yes, my residence permit was only 364 days long and I needed one which is 365 days! One day short triggered a lot of paperwork and visits to customs service. During the time the appointed agent BridgeRelo was very unclear about the steps ahead and frankly giving any information proactively to us, this was very frustrating. We started getting worried that our goods would be stranded in the Shanghai harbor forever. News came out that there are hundreds of containers from expats were stranded as the law was just changed recently. In terms of the paperwork for the import; Once the legal hoops were jumped and things were arranged, things should have been in control again but the appointed Shanghai agent BridgeRelo arranged a very unprofessional courier service. 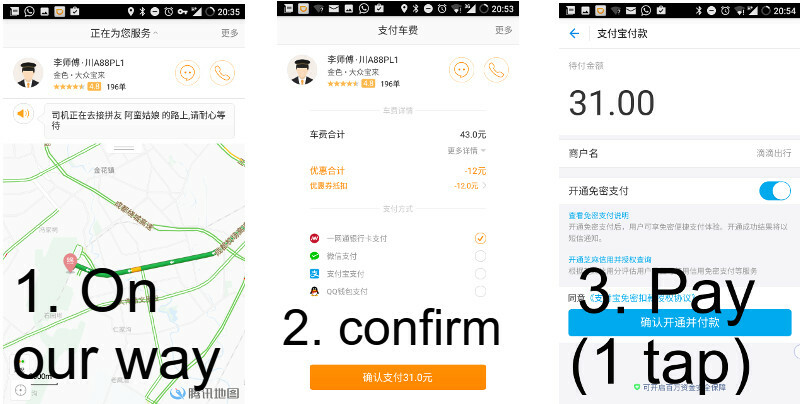 Not only were they not able to give any ETA, they also supposedly experienced car trouble in Anhui province (? ), leading to us waiting for days to hear anything. But finally I got the call yesterday that they were almost there, and we received the goods. 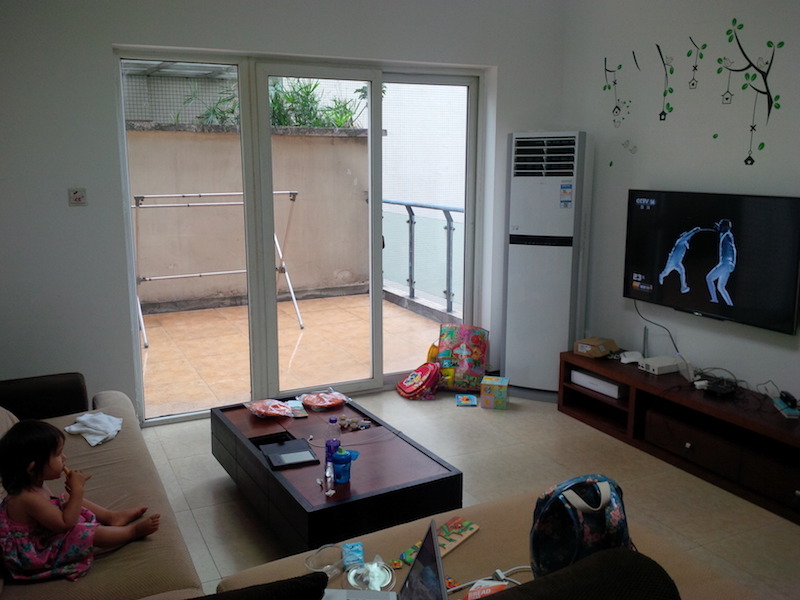 So now we finally feel at home in Chengdu, with all our fall/winter clothes and my bike etc. Someone told me, in China things sometimes look bleak but with patience and diligence problems are always solved in the end. We are very happily unpacking at the moment, it’s time for a celebration! How do you launch an iOS game with connfidence? When we approached the end of this #drpanda production, which was built with diligent coding and even more diligent professional testers, we threw a ‘bughunting’ party and the whole company + spouces joined in playing the game all evening long in trade of delicous pizza. The QA team set it up and kept great score of the valid and not so valid bugs. They even gave a price to the person who found the most bugs, which were surprisingly little. The winner found three bugs in the game after playing for a very long time. The next day we solved all of them already and have improved further. Generally, a ‘bughunt’ is a nice and fun way to involve and prepare to get ready! 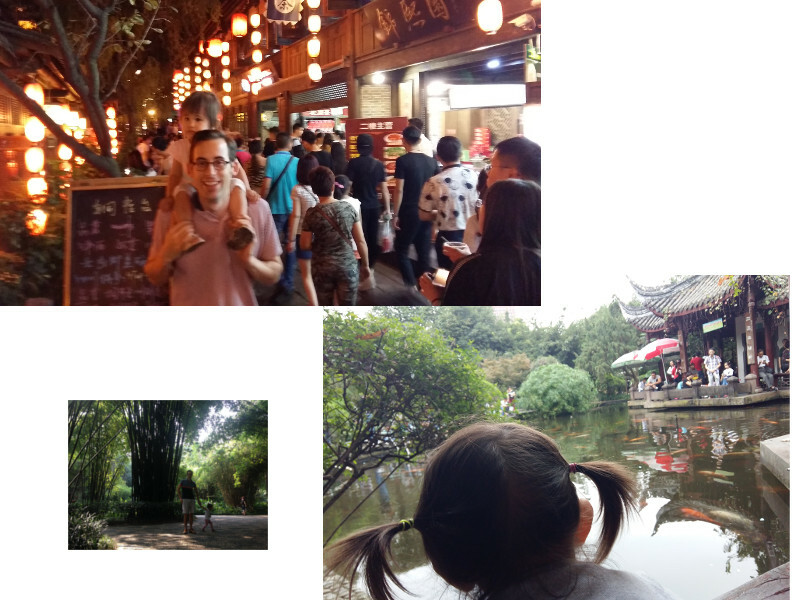 China celebrates it’s national days with a week vacation so we decided to use days exploring Chengdu. 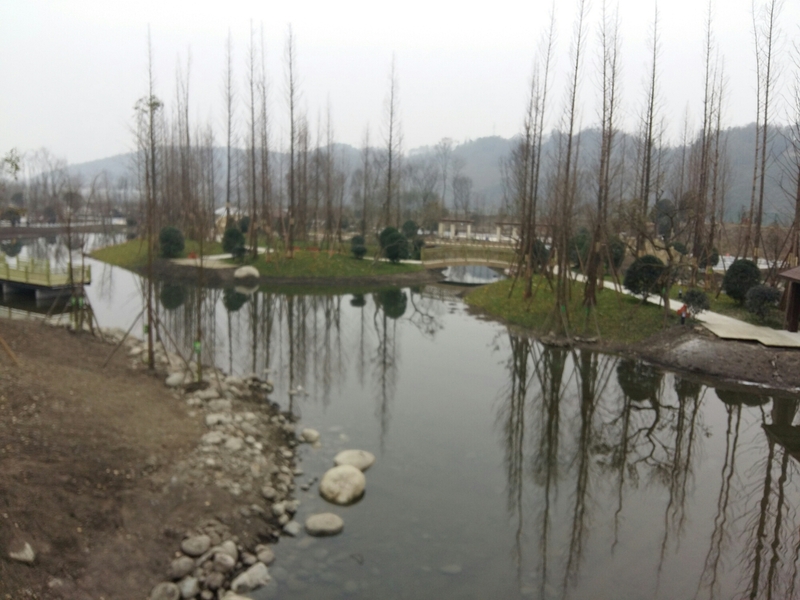 So far we have visited the ‘bamboo park’ (wangjianglou park) where we ate a spicy lunch next to the water side. The next day we visited the Chengdu temple of marquis which features a touristic but nice street full of night snacks. 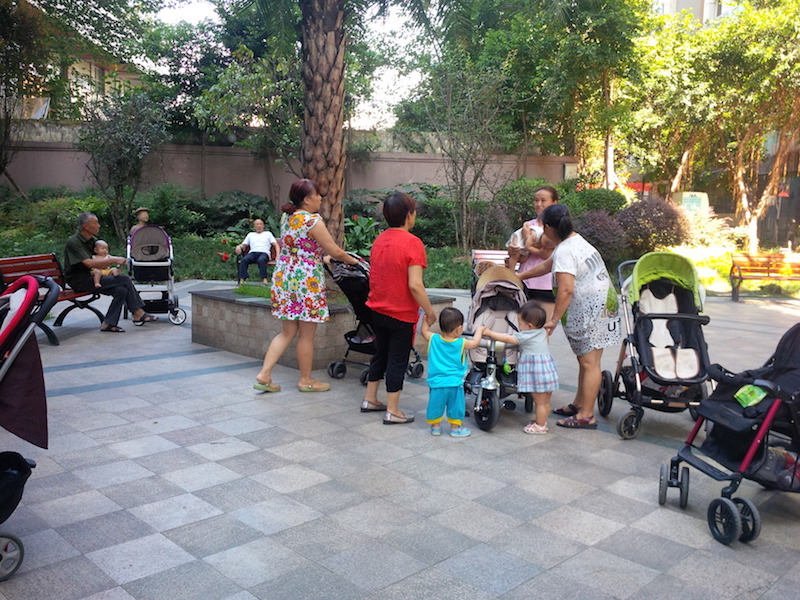 We then went to people’s park, dubbed the noisiest park in the world. The heat of the summer kept us indoors, but we finally started exploring our new city. Sit down at a random corner in Chengdu (city of the panda) and you’ll probably spot a (non real) panda within 5 minutes. Inflatable panda’s, trucks with panda’s on them, statue of panda’s, Dr. Panda and souvenirs. 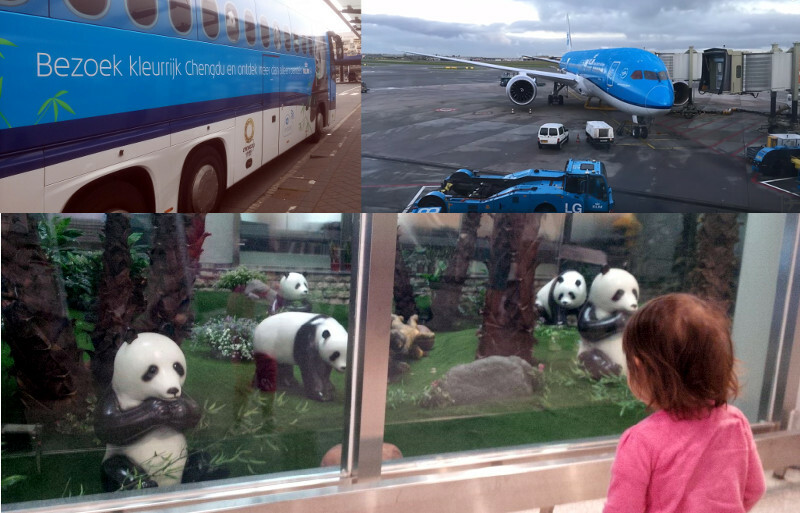 It was getting awkward that still after a few months, we didn’t see any real pandas! 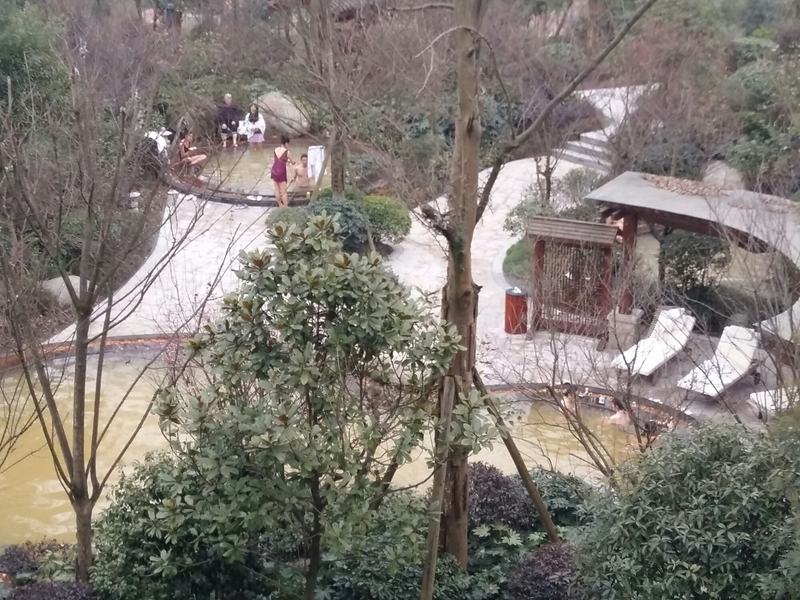 A dear colleague couldn’t bare it anymore and offered to take us along to the Chengdu Giant Panda Breeding Base. 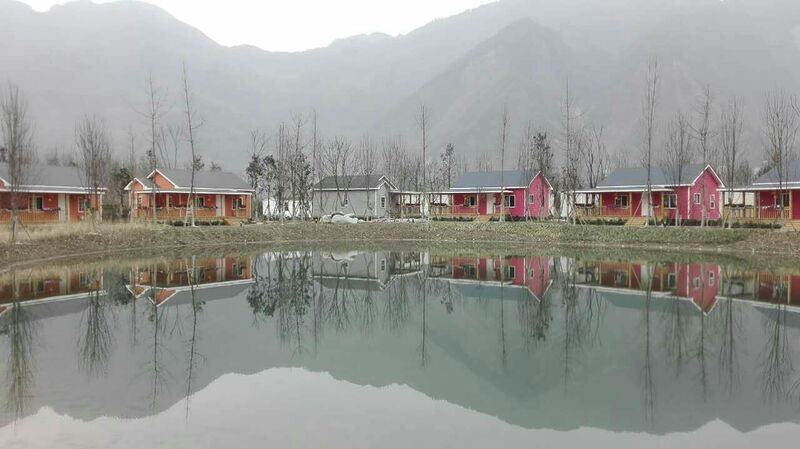 So on the early Saturday morning we drove off to the north east of the city to the panda base. Upon gazing the animal, my 1.5 yr old daughter simply froze with her mouth open. It was a wonderful expression. Now… you have to imagine what this ment for my daughter as she loves Panda’s. Being surrounded by that many panda’s left and right, just made her repeat the same word over and over! I stopped counting at the 50th “PANDA!” – I estimate she said that word at least 200 times. At the end of the day when we where home and all was done, she dozed off quickly. I bet she dreamed of panda’s. 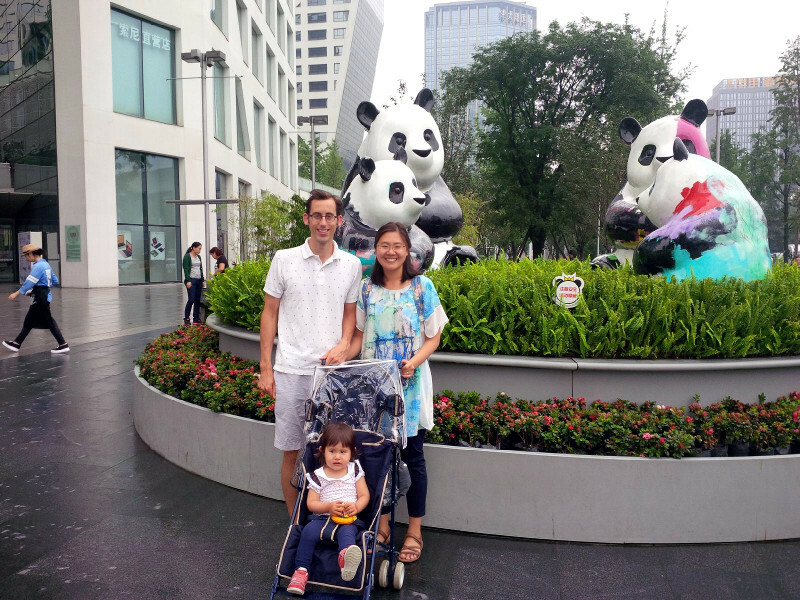 We moved to Chengdu a few weeks ago. We started in a hotel but found a place to rent quicker than expected. Again I was reminded of the pragmatism of life in China. If one wouldn’t be too picky, I bet you can arrange a new place to rent within a day. That’s including finding an real estate agent and having China telecom come by to connect the internet. Talking about internet, I’m used to slow ADSL lines from China Telecom but they modernised and installed a 20mbit fiber line in our house. Turns out it comes with a sweet Netflix like interface that features most recent blockbuster movies with a program called “4K”. This legal movie watching sets me back just 100 RMB per month. We found some routine again but are mostly waiting for our stuff to arrive from The Netherlands. Our moving company says that should be within two weeks from now. Until then we practice our ‘camping life’ practices. With just a few clothes and just two towels. On the upside; Our new place features a community pool which is nice and cooling in this hot climate. 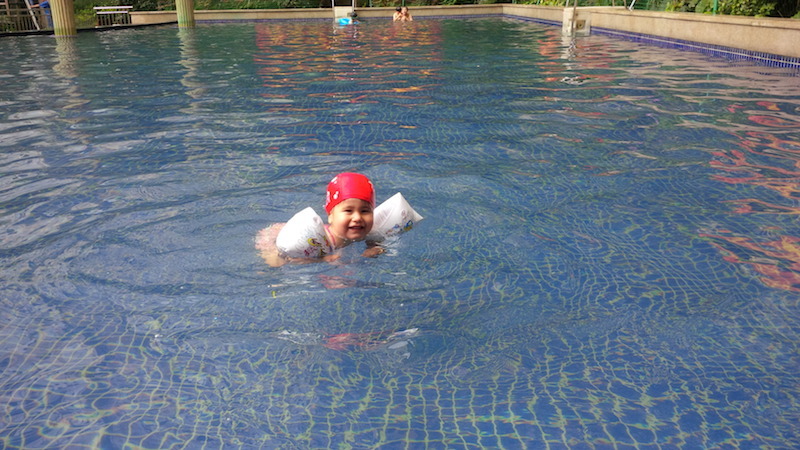 Mia loves to swim there and we all go time to time. I have to say my little to girl adapted quickly to or lives here.